As more and more baby boomers retire, many of them flock south for winters. Often called snowbirds, they like flying to a sunny, warm climate where they won't need to shovel the snow off the sidewalk or face a car battery than won't crank. However, before taking off for your winter destination, ensuring your home is properly winterized will make sure your return in the spring doesn't bring any unpleasant surprises. The most important thing to do before packing your sunhat and swimsuit is to ensure your home is safe and that all the doors and windows are locked. You may also want to inform neighbors that you will be gone, leave a set of keys with a trusted friend or relative in case there are problems that arise, and periodically check on your home. If you live in a suburb or have a homeowner's association, letting someone know your home will be vacant will keep them from sending in the fire department to check on your safety. It's also a good idea to place timers on lamps at various locations so it looks like someone is still home. For extra peace of mind, put valuables into a safe deposit box and install a video system that helps you keep an eye on your house using your smartphone. After that, protecting your home from the cold is paramount. The concern is always around pipes that can freeze or break and do thousands in damage. Turning water off at the main line or at your utility box is a good way to ensure that pipes don't have water running. Once the water has been shut off, turn on all the water faucets both indoors and out to drain all the water remaining in the lines. Don't overlook the washing machine. Turn the faucet off and be sure to drain any residual water in the washer's water lines. 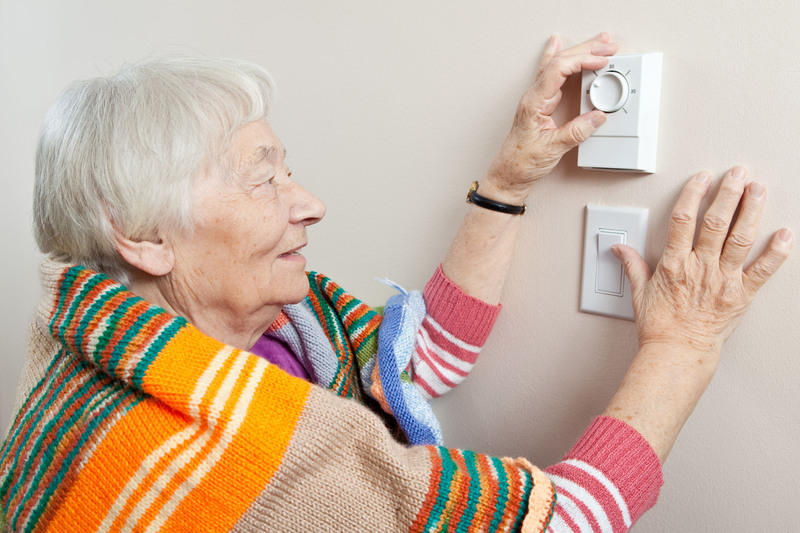 Indoors, set your thermostat to a temperature that will prevent the house from freezing so that your belongings don't get too cold or damp. It's also a good idea to unplug the hot water heater or to turn the gas off. If you have time, drain the water from your water heater. Be sure to call a plumber if any of these tasks are unclear or you are unsure about how to turn the water off or to cut the electric or gas off to your water heater. Go through the house and unplug your appliances so they won't be damaged if there is a power outage, storm or power surge while you are way. Be sure to clean out your pantry of any packaged items and clear out the refrigerator. Clean the refrigerator thoroughly and prop the door open so it doesn't develop mold while you're away. Check and seal all the flues and openings, like the dryer vent, attic vents and the fireplace. Look for any holes in the roof or siding to prevent rodents from taking up residence while you're away. With all this behind you, you'll come home refreshed and ready to enjoy your spring and summer in your home that's in the same shape you left it. This article is written by Kathryn Weber and Tribune Content Agency from Living Space and was legally licensed via the Tribune Content Agency through the NewsCred publisher network. Please direct all licensing questions to legal@newscred.com.